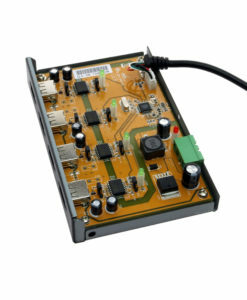 Each USB device connected to the isolated hub can operate independently. 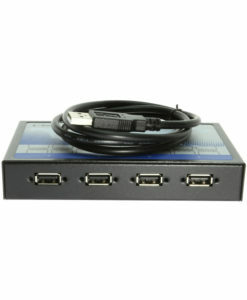 This isolated 4-port hub is designed with individual port power management. When any downstream port is overloaded or over-current, the port will shut down itself alone without affecting or terminating the normal operation. This isolated hub is a rugged, industrial-grade 4-port full speed USB 2.0 hub and expands one USB port into four optically isolated USB ports. The USB Hub’s power input is designed with a diode bridge circuit, and you don’t need to worry about the input DC power polarity when plugging the power connector. 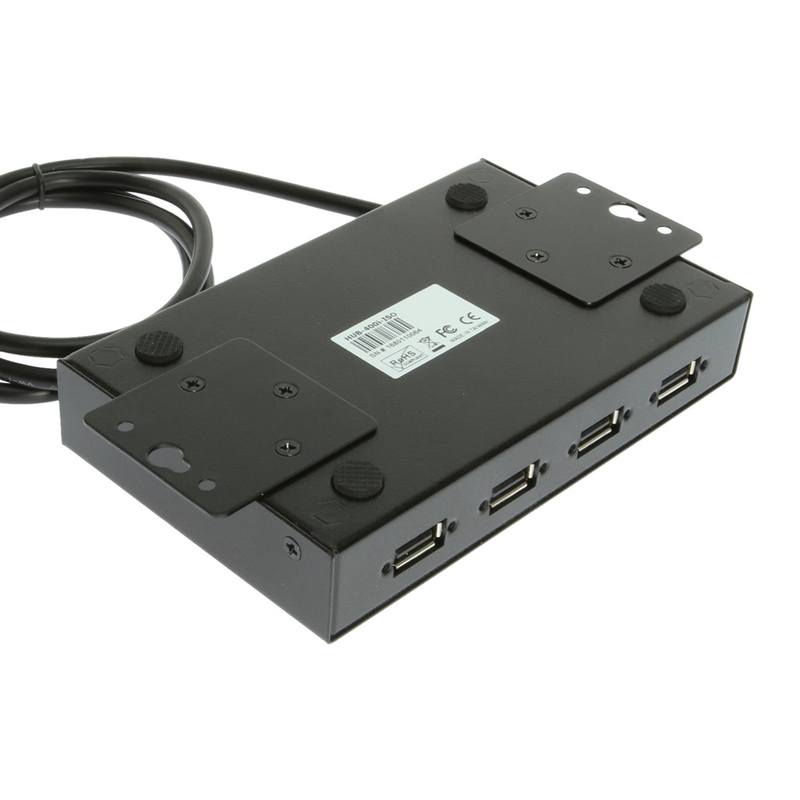 The USB 2.0 4-port hub is designed for the use in industrial applications and is housed in a DIN-rail mountable metal case with screw holes for lockable USB and power cables.